Handcrafted in Yorkshire, this stunning Christmas cake wrapped in a pretty festive ribbon will bring a touch of elegance to the big day. 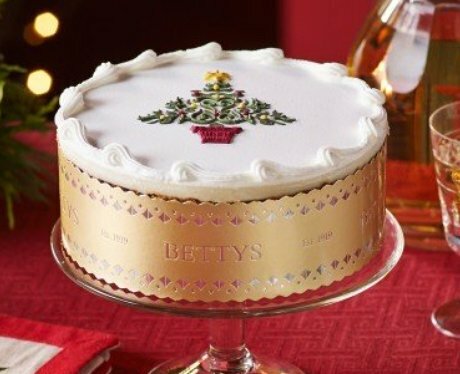 It features royal icing and an ornate, hand-stencilled tree with individually piped decorations around the edge. It's so pretty you won't want to eat it!